The book summary and quick links to chapter previews. SPLENDOR IN WORSHIP, with 200 color photos of worship banners, designs, and sewing techniques, is a hands-on guide from idea to installation, a practical and insightful church resource, and an inspirational gift book. Chapter 2 - Am I Artistic? 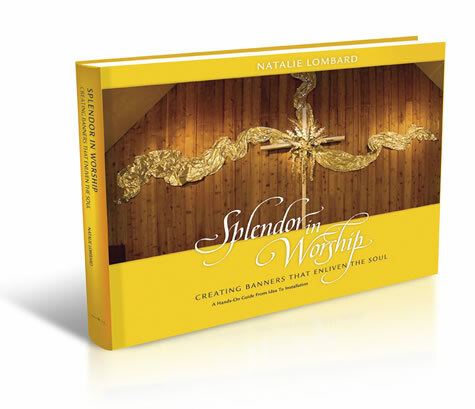 ﻿“Natalie Lombard has given churches of all sorts a wonderful gift. This book on banner design offers us all a go-to resource that will be useful in any setting. Every church should own her book."